ins'Pi're math: Math Clocks Now Available! Math Clocks are now available in our store! Your students will love this clock hanging in your classroom and can lead to great conversations about square roots, fractions, and even the value of "i"! Get your clock now at the affordable price of $13.99! 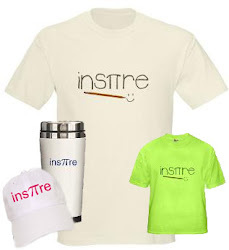 Inspire t-shirts, hats, clocks, and other gifts designed by me! Marianne Wesseling 2011. Awesome Inc. theme. Powered by Blogger.